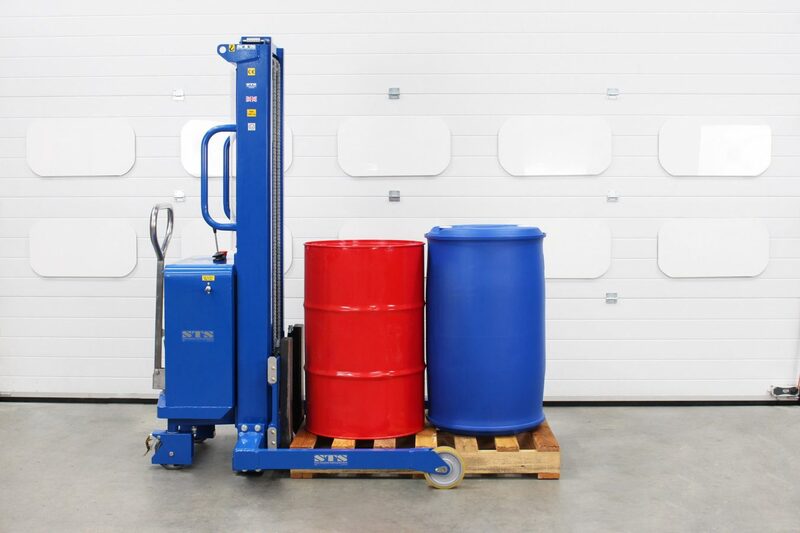 This bespoke ATEX drum stacker has a telescopic lift function to 2450mm, and a 1000kg rated load capacity. 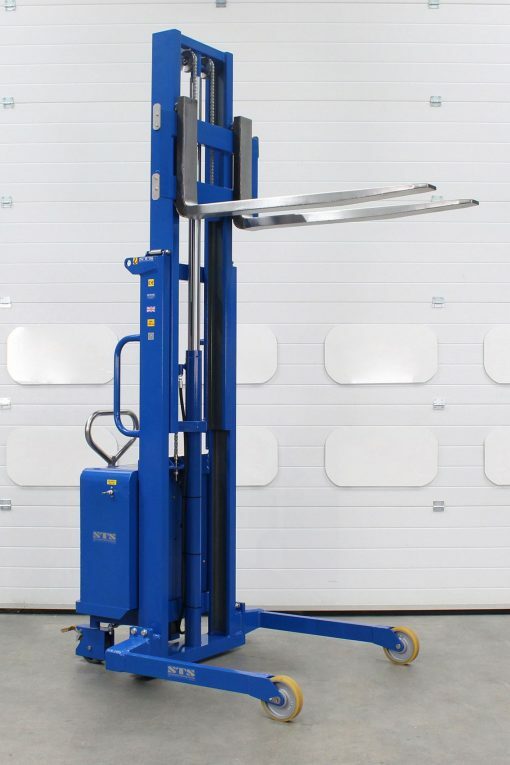 A large UK pharmaceutical manufacturer and retailer approached us looking for a stacker that could lift 1000kg to a height of 2400mm in an ATEX Zone 1 environment. We designed and built the unit to the exact specification the client requested. 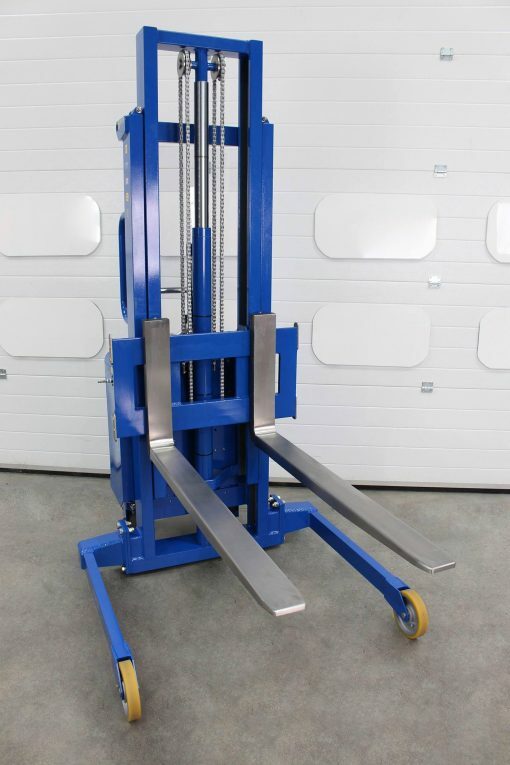 The customer needed the stacker to work in a narrow environment, so we had to minimise the overall width. Our team of engineers created narrow legs with high-load wheels to ensure it would fit in the area of operation while maintaining stability. In order to comply with the ATEX Directive, we designed the unit to be air powered. A pneumatic-hydraulic pump supplies the lift system with hydraulic fluid. 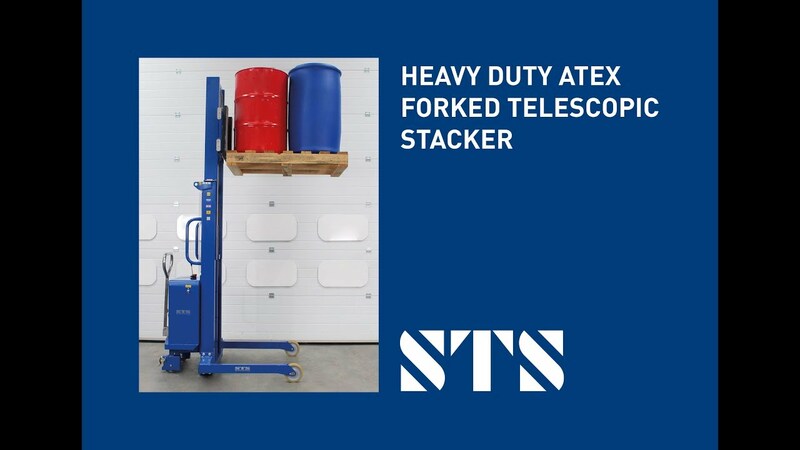 As with all our ATEX models, we rigorously tested the stacker to ensure continuity between all parts. It’s important that static build-up is dissipated to prevent the chance of spark generation. fully compliant, suitable for ATEX Zone 1.